Many of you will have grown up with Lego and will have built a number of your own creations. One site I’ve seen around recently is Lego Cuusoo which allows you to submit your own Lego creations and have them voted on to see if there’s a chance a set can be actually made. 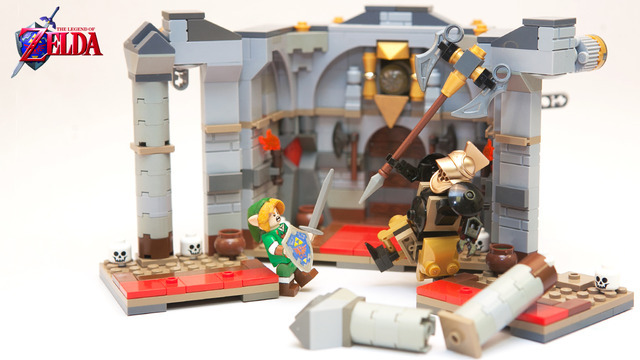 One of the sets currently on show is a Legend of Zelda: Iron Knuckle Encounter. It follows on from a previous version of Lego Zelda that was declined in Cuusoo due to it having too many unique parts that would need to be molded to create the set. This new version gets rid of the need of custom bricks and is now a set that uses just official parts (other than an optional shield and sword mold). You can vote on the Lego Zelda set over here. Right now, it has 2,613 supporters, so still a fair way to go to reach the required amount. Perhaps your vote can help get them closer to Lego considering the project.